Quaker’s latest commercial highlights that “breakfast can be awesome with some imagination and a bowl full of delicious, crunchy goodness”. 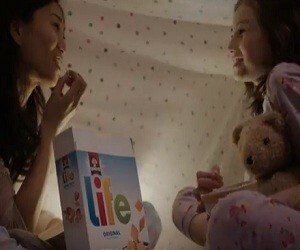 “Enjoy all of it” – is the invitation made in the 30-second spot released by Quaker, featuring how small moments with Life Cereal can make time with family special. “The best moment to be happy is the one happening right now”, says a child voiceover adding “Life – Enjoy All Of It”. The track playing in the background is “That’s What I Like” by Flo Rida feat. Fitz.